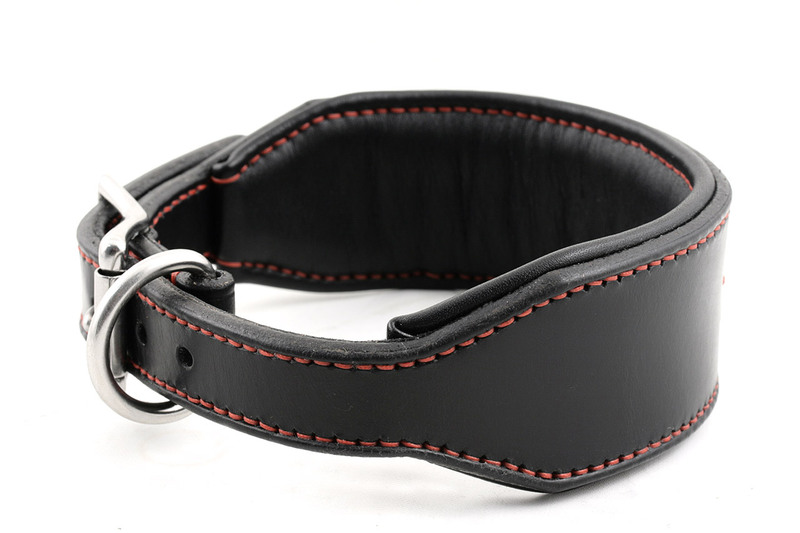 Size L, black leather, black padding, red poly thread and stainless steel hardware. 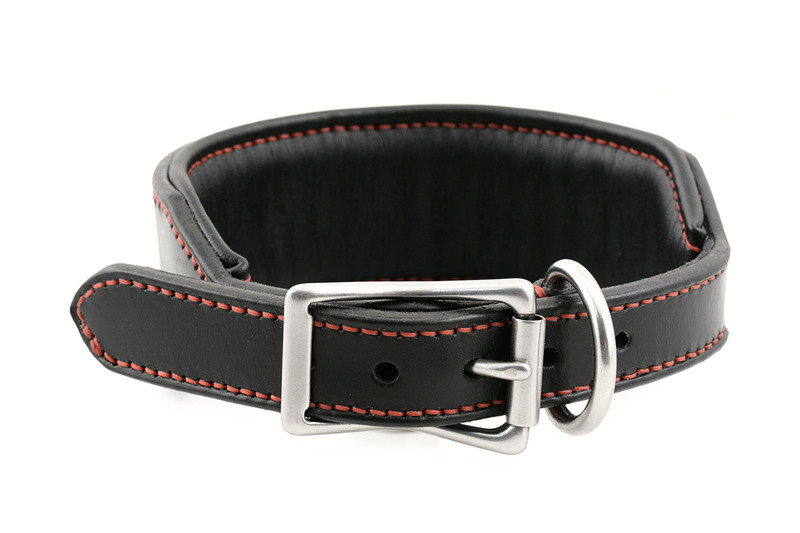 Wide part measures 2", buckle and dee are 1" size. Same as this one, but with red accents!